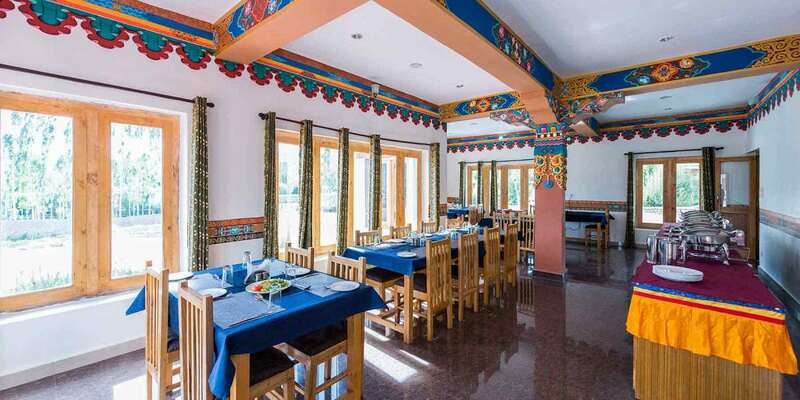 Situated 600 metres from Main Bazaar in Leh, Classic Ladakh features free WiFi access and free private parking. Guests can enjoy the on-site restaurant. Certain rooms include a seating area to relax in after a busy day. Certain units feature views of the mountain or garden. The rooms come with a private bathroom offering free toiletries. You will find a 24-hour front desk at the property. Bike hire is available at this hotel and the area is popular for cycling. Currency Exchange, Family/Child Friendly, Sports, Doctor on Call, Beauty Services, Concierge, Internet/Wi-Fi, Doorman, Conference Hall, Elevator/Lift. H/C Water, Reading Lamps, Toothbrush/Razor on Request, Hair Dryer, Child Care, Bathtub Only, Smoking Rooms, Television Room, Bathrobes, Slippers. User reviews for "Classic Hotel Leh"